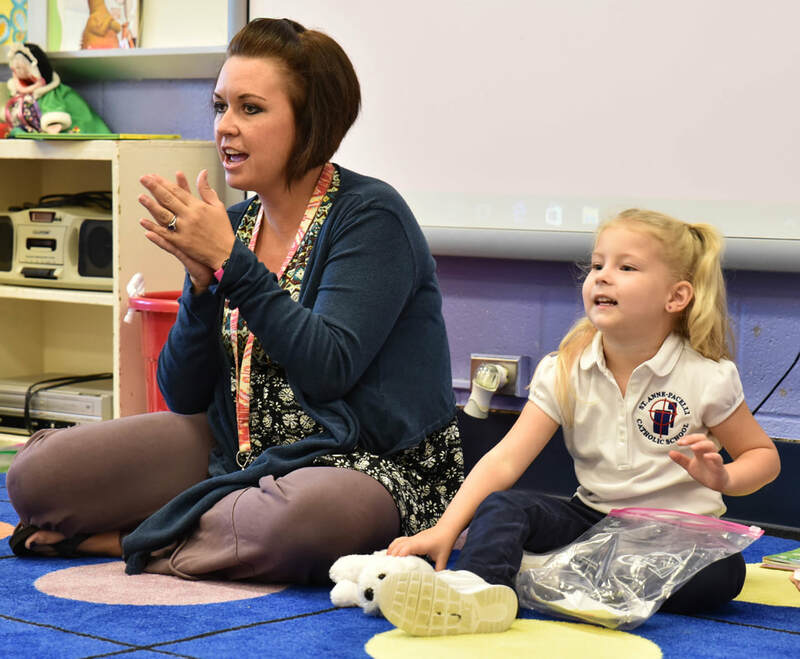 The St. Anne-Pacelli PK4 program is designed to prepare children for success in Kindergarten and beyond. The school day consists of activities and lessons to develop social, personal, and academic skills. Curriculum includes Language Arts, Mathematics, Religion, Social Studies, and Science. Age Requirement: Students must be 4 by September 1st. Enrollment: Admission is open to students of any denomination. Priority will be given to siblings of enrolled students and Catholic applicants. To Apply for Admission: Fill out an online application, or email or call Director of Admissions Julie Davis at 706-561-8232, ext. 325. Waiting List: Candidates may be placed on a waiting list if the number of applicants exceeds the maximum number of available classroom spots. We encourage you to apply early to ensure your place in PK4.